Gold medallist earlier in the week in the Boys’ Team and Boys’ Doubles events at the 2017 South American Under 13 and Under 11 Championships in Asuncion, Paraguay, when partnering colleague Guilherme Marchiori, as well as emerging successful in the Mixed Doubles event in harness with Beatrix Kanashiro; Brazil’s Leonardo Ilzuka added to his haul of gold medals in the Under 11 age group on the Sunday 21st May. He won the Boys’ Singles title to complete a clean sweep and thus emerged the most successful player in the entire tournament. At the final hurdle he overcame Peru’s Renzo Zeballos (9-11, 11-6, 11-8, 11-5), having at the semi-final stage accounted for Argentina’s Nicolas Callaba (11-5, 11-6, 8-11, 11-3). In the counterpart semi-final, Renzo Zeballos ended the hopes of Guilherme Marchiori (11-5, 11-7, 11-9). Four titles for Leonardo Ilzuka, on the concluding day of play, colleague Laura Watanabe started proceedings with the same ambition. 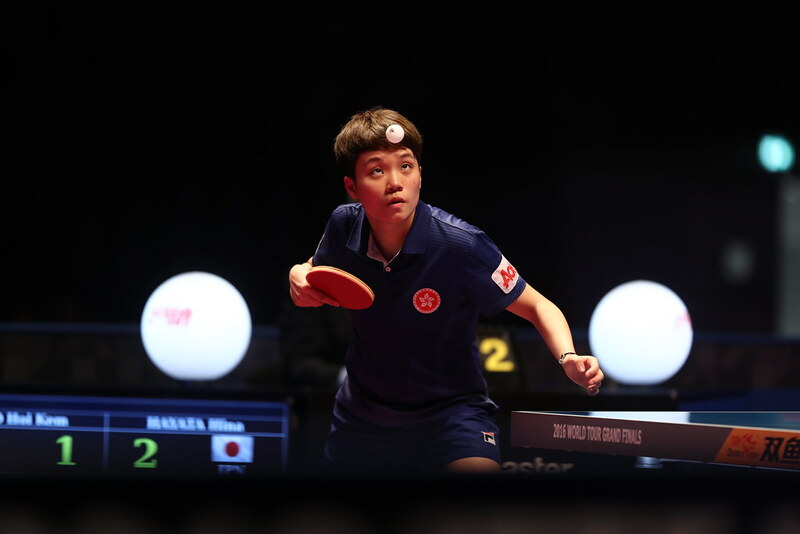 In the Under 13 category, she had won the Girls’ Team event and Girls’ Doubles competition in partnership with Giulia Takahashi as well as the Mixed Doubles in harness with Gustavo Gertsmann. Alas for the Brazilian it was not to be; she was beaten at the quarter-final stage of the Girls’ Singles event by Argentina’s Divina Ding (7-11, 11-8, 16-14, 11-6). However, the title did finish in Brazilian hands. Divina Ding continued her progress to reach the final by overcoming Ecuador’s Fernanda Castro (15-13, 11-2, 12-10) but in the title deciding contest found Giulia Takahashi in no mood for charity; a straight games win was posted (11-4, 11-4, 11-7). In the counterpart semi-final, Giulia Takahashi had accounted for Peru’s Lucciana Cisneros (11-1, 11-6, 11-7). Thus at the end of the day it was three titles apiece for the Giulia Takahashi and Laura Watanabe. Similarly, for Peru’s Carlos Fernandez it was three titles. Winner in the Under 13 age group category of both the Boys’ Team and Boys’ Doubles titles with colleague, Adrian Rubinos, on the last day of play in Asuncion, he won the Under 13 Boys’ Singles event. After having accounted for the host nation’s Elias Apud (11-5, 11-4, 11-8), he beat Brazil’s Sim Joon (11-7, 9-11, 8-11, 11-7, 11-7) to claim the top prize; in the adjacent semi-final, Carlos Fernandez had beaten Gustavo Gertsmann (10-12, 11-9, 11-3, 11-7). Three titles for Giulia Takahashi, Laura Watanabe and Carlos Fernandez, for Ecuador’s Angelica Arellano it was two in total. In the Under 11 age group, she won the Girls’ Singles title, after three days earlier having secured the top prize in the Girls’ Team with compatriot Maria José Borja, the player she beat in what was to prove the closest final of the whole tournament. Angelica Arellano emerged successful by the very narrowest of margins (11-8, 10-12, 11-4, 7-11, 13-11) in an event where Ecuador was very much to the fore. At the semi-final stage, Angelica Arellano had beaten Fiorella Olaya (11-8, 11-8, 7-11, 11-6); in the counterpart penultimate round contest, Maria José Boja had overcome Chile’s Sofia Perez (10-12, 11-4, 11-7, 11-6). Success for Ecuador and in the best traditions of tournaments in South America, a points system, based on the finishing positions in each event, determined the most successful countries. Brazil (447 points), finished ahead of Peru (392 points) with Ecuador (284 points) in third place.